A small amount of DK yarn in Blue, Yellow and Red and 2 pairs of 8mm Safety Eyes are required. 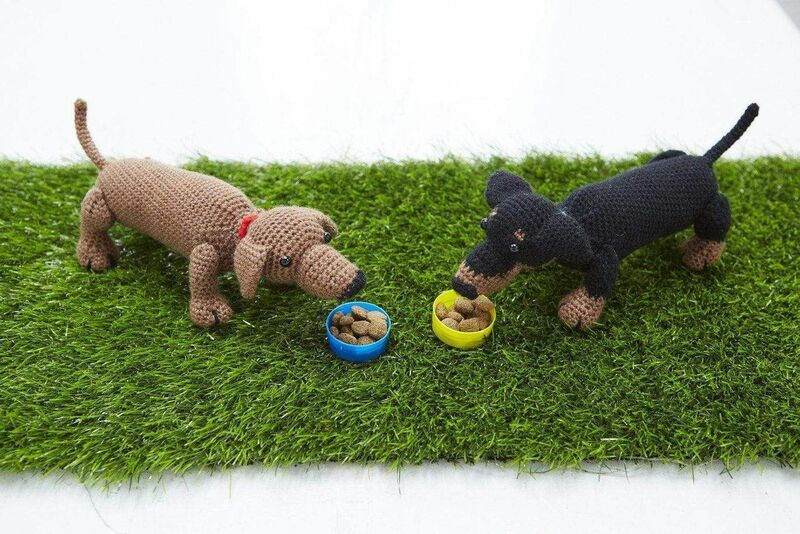 These adorable crochet Dachshund will keep you company. They are made from double crochet stitches and super easy. Make as a thoughtful gift for the dog lover in your life.